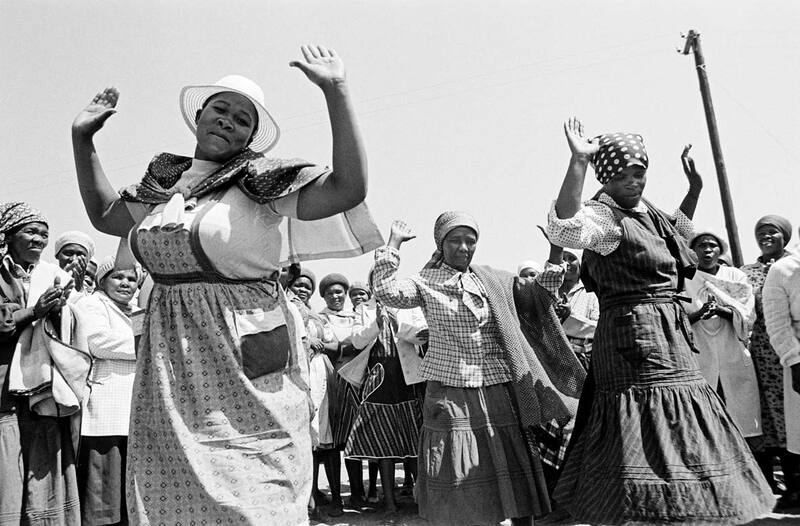 Gille de Vlieg, Braklaagte women dancing after signing petition against being part of Bophuthatswana, 1986. Courtesy of the artist. Enjoy a free tour of our latest exhibitions. Join a member of the De La Warr Pavilion team plus special guests as they share their perspective on Still I Rise: Feminisms, Gender, Resistance and Hayv Kahraman: Displaced Choreographies. Meet outside Ground floor gallery.